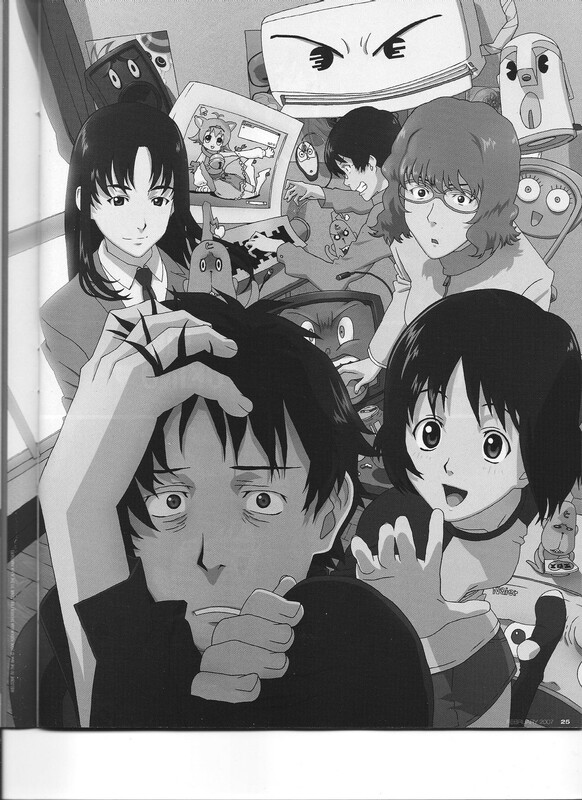 Welcome to the NHK director Yusuke Yamamoto remarks on his motivations in working on the project, which he describes as eschewing popular sci-fi and moe elements in favor of a comparatively more everyday story. 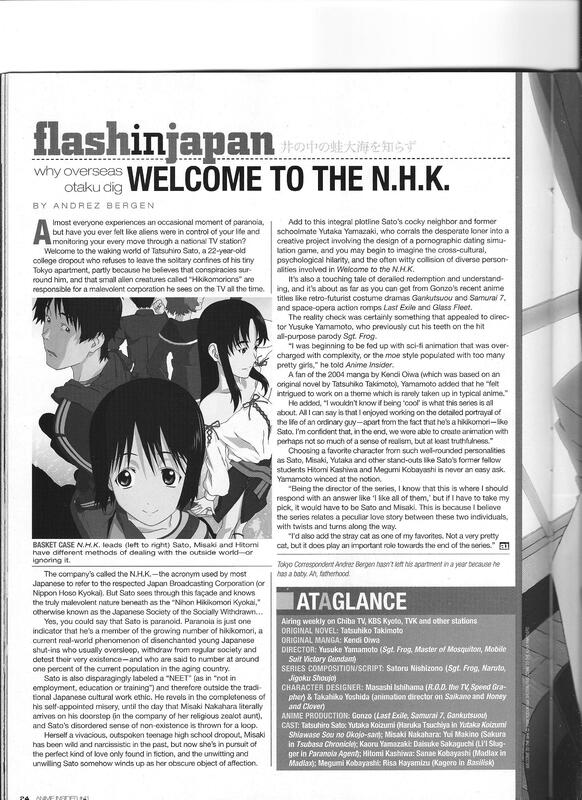 This entry was posted in Old Magazine Articles and tagged Anime, Borderline Plagarism for the Freedom of Information, Welcome to the NHK, Yusuke Yamamoto by torisunanohokori. Bookmark the permalink. So this pretty much explains why the whole franchise seems to be pretty unpopular in Japan? Creator comments don’t necessarily indicate fan opinions on the subject matter, so I’d be cautious in that regard. Regarding the “detailed portrayal of an ordinary guy” bit, probably not. Honey and Clover was a somewhat similar, roughly contemporary series with a decidedly average and anxious 20-year old protagonist, and it averaged 10k.